Bed rest for neck pain is a traditional, conservative treatment prescription often recommended for people with acute flare-ups of pain. Taking some time to relax and allowing the body to heal is never a bad idea, since severe neck symptoms always provide evidence that the body has suffered structural injury, disease or some form of internal or externally applied stress. 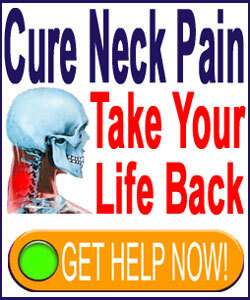 Neck pain is often exacerbated by movement or particular positions. For this reason, the idea of staying calmly and quietly in bed seems like a very wise path towards treatment. There is no doubt that for acute presentations of pain, a day or two of bed rest can make a world of difference in how a patient might feel after truly allowing the episode to subside. However, bed rest can quickly turn into a counterproductive tactic when employed by people for an extended duration. Very few neck pain conditions require extended periods of bed rest and in most cases, keeping confined to bed and limited physically will enact far more negative effects than positive benefits. This essay examines the role of bed rest for acute and chronic neck pain conditions. We will discuss the benefits of short duration bed rest, as well as delve into the potentially harmful consequences for patients who depend on this form of self-treatment long-term. For fresh injuries and sudden painful flare-ups, confining oneself to bed and relaxing is a prudent idea. Acute symptoms can make movement difficult and extremely painful, necessitating neutral positioning to allow the body to heal. Most patients agree that the most comfortable place to recuperate from an acute pain condition is in their own beloved bed. Even though rest is crucial to speed healing and utilize the body’s resources to resolve the painful complaint, it is still not usually wise to lie in bed continuously for more than a day two, at most. Instead, patients with continuing pain should try to move about gently and alternate periods of complete rest with periods of conservative motion. Getting yourself up and around will help to improve circulation and also facilitate the healing process. Massage works great for a bedridden person. 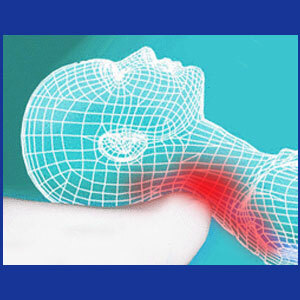 Professional, amateur or self massage can all help to metabolize waste chemicals and increase blood supply to injured, diseased or simply painful regions of the neck. Ice is an easy and effective type of first aid for man minor injuries. Applying ice for the first 24 hours can reduce inflammation and also help to reduce discomfort. After 24 hours, changing to heat will continue to facilitate improved healing and will also help rehabilitate the area for movement once again. OTC pain relievers are alright if used in moderation and for short durations. However, even mild OTC drugs can create massive health problems when abused or continued long-term, so be wary of using them for more than a few days. Muscular tightness and joint capsule shrinkage can occur within a few days of complete inactivity. Many patients who have neck and shoulder pain and remain immobile for more than 4 to 5 days find it very difficult to mobilize the shoulder joint upon rising from bed. Some even experience a completely frozen shoulder or limited motion in the neck. Muscular atrophy can occur within a couple of weeks of being bed-bound. Muscles begin to degenerate from disuse, causing potentially serious effects and possibly requiring professional physical therapy to rehabilitate. Being bedbound can create psychoemotional effects, such as chronic fatigue, listlessness and depression. Patients often withdraw further into their recovery efforts and might find it difficult to shake off the mind and body effects of limited physical activity. Lying in bed can place inordinate pressure on the neck and might actually make matters worse, depending on the particulars of the causative condition. Some patients might have to utilize specific postures, pillows or practices to find relief while reclining with a severe neck pain condition. Other patients might be better served avoiding bed all together and finding an alternative position to recuperate, such as sitting. Patients are usually advised to move about gently, but often. Simply being up and around will help to get the body moving towards better health, as long as the patient is careful not to add extra stresses on the already pressured anatomy. If bed rest is needed, do not stay in one position for too long. Instead, try to turn often and utilize many reclining postures to better facilitate circulation and minimize the negative effects of constant pressure on the same areas of the body. Utilize extra pillows to provide bodily support for head and body where needed. Some patients find sitting in a comfortable chair to be more relaxing and less stressful on the neck. A few patients even cite improved relief from sleeping in a reclining chair, when their neck acts up, as opposed to relying on a traditional bed. Some Spartan personality types will try their best to ignore pain and simply go about their normal life and activities. Although this seems dangerous, statistics clearly show that these people usually heal faster and end up with a far less chance of requiring professional medical interventions in the future. Meanwhile people who acquiesce to multiple of bed rest regularly have a much higher chance of developing one or more chronic pain syndromes.